Importantly, I need to get this list printed out and posted somewhere I can see it. I’m looking forward to making some progress. For read the bible, I decided something for my kindle makes more sense because that’s how I like to read. I ended up getting a one year chronological bible that I’m excited about. I’m a few days behind already, but I am actually reading. I’ve already started to incorporate some additional stretches into my bedtime stretch sequence to work on the straddle stretch. I’ve been watching some pistol progression videos, but I need to find a time to work on this stuff daily. We have ambitious travel goals, but I decided not to get those on this list. Just closer destinations and restaurants. And technically we already did one cooking class this year, but I’m hoping to do another. But I’m TOTALLY counting it if it doesn’t happen. So what are your goals for this year? How are you doing your resolutions? 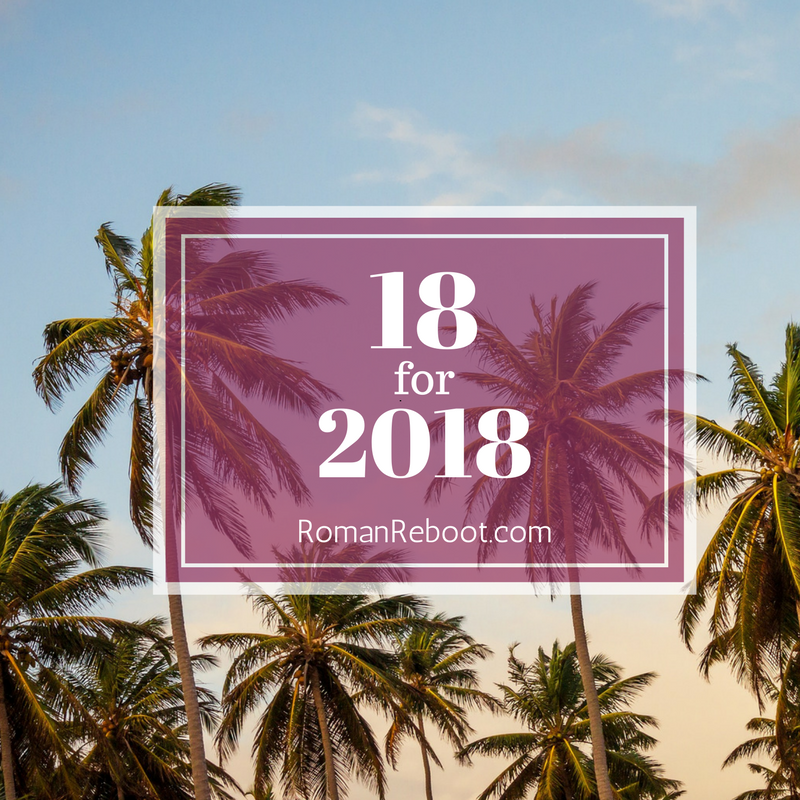 Anyone have an 18 for 2018 list? Yes! Love these lists (and just seeing other people’s list). I’ve actually been adding (even more) to my list – I think I’m nearing 30 things. But I feel really good about each other. I also really like focusing on the part you can actually control.